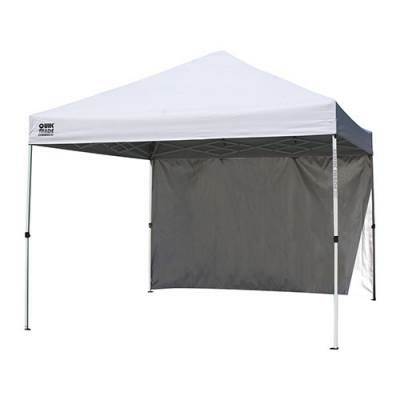 Keep players cool on the sidelines when you set up the Quik Shade™ 10 ft. x 10 ft. Canopy, which goes up easily to provide some much-needed shade on hot summer days. Ideal for those days that have coaches and teammates standing under the bright sun, the canopy boasts 100% UV protection for complete blockage. Bring the canopy along for away games, then tuck it away in the equipment closet after you get home thanks to the wheeled carry bag.